Burbank bench warrant? It's time to resolve it! Burbank Bench Warrant Attorney George Kita focuses substantial efforts helping clients resolve bench warrants, once and for all. His extensive experience in Burbank Court uniquely qualifies him to understand the most effective approaches. He focuses judges & prosecutors on creative solutions, and makes significant efforts to walk clients out the same courthouse door they walked in earlier that day. 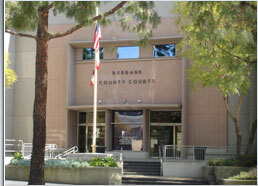 If you have a bench warrant in Burbank & are ready to take back control of your life, call George Kita, at 818-536-3630. If you miss your court date, this generally results in the issuance of a bench warrant. Thereafter, Burbank or other California Police Departments can repeatedly visit your home or work, until you are located and arrested. Once arrested, you will sit in jail until your court date, or until a bond is posted. George Kita helps clients in the city of Burbank; if you have a Burbank bench warrant, contact him to start the process of solving your situation. Mr. Kita can answer your questions, & discuss the best ways to proceed on your warrant. For more information about bench warrant strategies and approaches, see his webpage at: Los Angeles Bench Warrant Attorney. Bench warrant in Burbank? Call Mr. Kita, now, at 818-536-3630! *Every warrant is different, and results are based on specific details of each case.